I've been thinking that my "old songs" haven't been quite so "awesome" lately; maybe just "pretty good." A regular at my bar confirmed as much to me after having a few pops the other night. So with that in mind I'm going to try to step up my game a little. 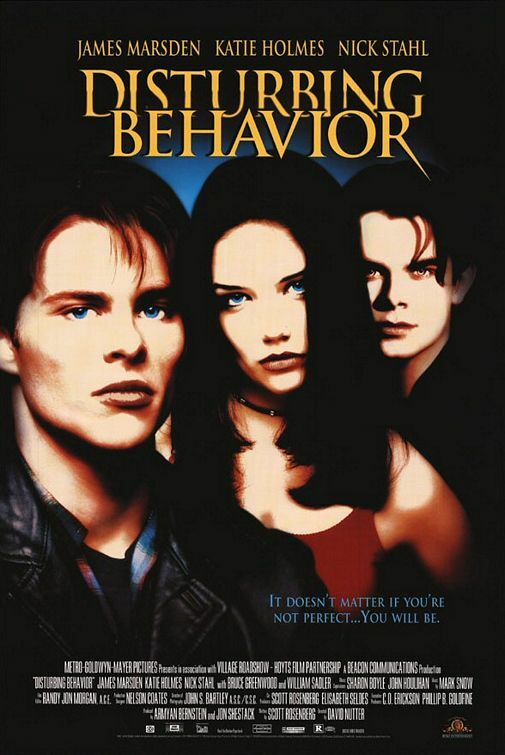 When the movie Disturbing Behavior came out in 1998, the soundtrack became popular for featuring "Flagpole Sitta" by Harvey Danger. But after those Pacific Northwest high school kids turned science project robots go tumbling off the cliff like lemmings and the final credits role, the Flys' "Got You (Where I Want You)" plays in the background. This flick was also Katie Holmes' first opportunity to cash in on her new found Joey Potter of Dawson's Creek fame.